If passed, Proposition 1 would have made it mandatory for all people in Anchorage, Alaska to utilize facilities located in public spaces that coincide with the gender assigned at birth. Voters cast their ballots in opposition, with 53 percent voting against the bill in an election considered to be the first ever to be held that directly asked citizens to vote for so-called bathroom bills. The results, which were unofficial so far, would then undergo certification expected to take place by April 17. The electorate in a city in Alaska, United States voted against passing a bill that would have prohibited transgender individuals from using the bathroom or facilities that match their gender identity. According to transgender latest news by NBC News last April 8, voters in Anchorage, the most populous city in Alaska, rejected a measure that many considered as anti-transgender. If passed, the Proposition 1 would have made it mandatory for all people in the city to utilize facilities located in public spaces that coincide with the gender assigned at birth. In effect, it would have stopped all transgender individuals from accessing such public facilities like bathrooms and lockers that correspond to their gender. Advocates lauded the turnout. Chad Griffin, president of Human Rights Campaign said in an interview that this was a vote for equality. “Anchorage voters refused to succumb to hate and bigotry by rejecting this discriminatory, anti-transgender ballot measure. Community leaders, businesses, faith leaders, and public officials all spoke out in support of equality,” Griffin said. Meanwhile, transgender activist Lillian Lennon, 19, said that the results provided much-needed relief. 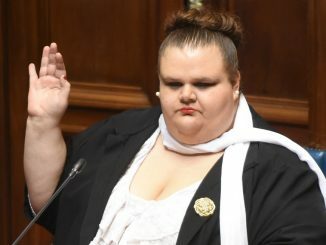 According to the Human Rights Campaign, the bill was one of 129 estimated anti-LGBT measures introduced in the previous year and of which 12 were passed into legislation. The bill would have effectively voided the city’s 2015 non-discrimination ordinance against LGBT people and would grant permission to business-owners in dictating transgender people on what type of accommodation they could use. She then immediately opened the parcel, marked it no, and mailed it. Supporters of the bill, such as Jim Minnery of Alaska Family Action, believed that people should not be given the right to choose whichever intimate spaces they identify with. “Not everyone should have access to any intimate space they want because of how they feel,” Minnery said. The group made a signature campaign to include the policy in the ballot. The measure was considered to be damaging for transgender people living in Alaska, majority of whom are living in the city. Three out of 10 trans Alaskans were poor and 18 percent said they were jobless according to the 2015 U.S. Transgender Survey. 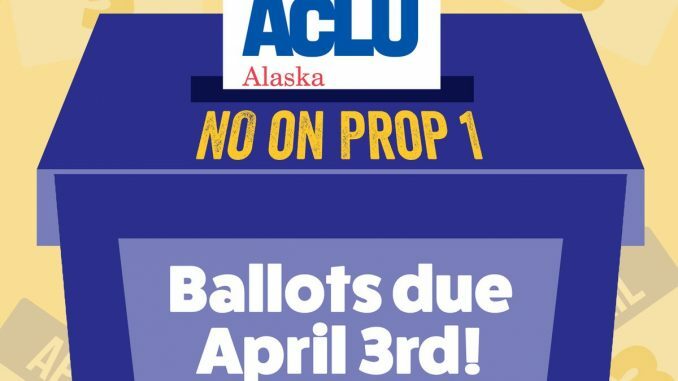 Lennon’s group, No on Prop 1, battled against Yes on Prop 1, a group organized by the Alaska Family Action. The campaign raised $824,000 against $128,000 of the “Yes” group, and both were aggressively running advertisements in support of their respective position to convince the nearly 300,000-strong electorate. Volunteers of the “No” campaign started knocking on doors since August. “I’ve had a lot of positive interactions with people going door to door, even with people who haven’t heard about Proposition 1 or aren’t educated on transgender issues,” Lennon narrated. She also explained the consequences of the measure to those who felt unsafe sharing the bathroom with trans women. 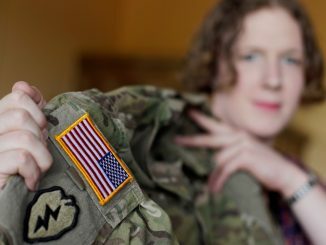 “I was able to explain that I’m a transgender woman myself. If Proposition 1 were to pass, I would be forced to go into the men’s restroom, and I’m scared of what that would mean for me, what that would mean for me and so many of my friends and loved ones who also identify as transgender,” she assured. 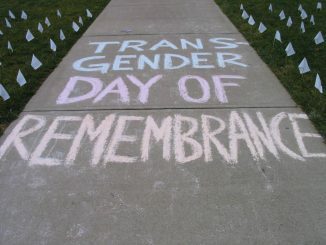 The group’s initiative also allowed people to meet and talk to transgender women for the first time in their lives, which Lennon then attributed to the difference in how they cast their ballots. “I think it’s hard to say to someone’s face, ‘No, I don’t agree that you should have equal rights… It’s a more human connection,” she remarked. But she would quickly recover from the setback when talking to people who were against the measure. “This work is really integral, and it’s a quick pick-me-up when you get to talk to another registered voter who believes in the same basic human rights as you do and really appreciates the work you’re doing,” she remarked. But more than the defeat of Proposition 1, she said that the other consequence of the election was the way it pushed forward the conversation about transgender rights.